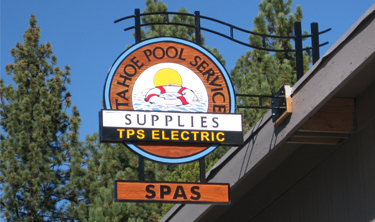 Need an sign installer in South Lake Tahoe? Window graphics, monument signs, building signs, vehicle wraps and vehicle graphics. We do it all and have a ton of experience! 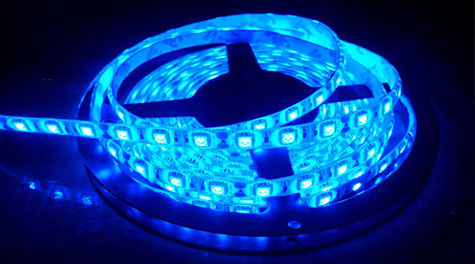 Please call us for a free quote: 530-544-7058. 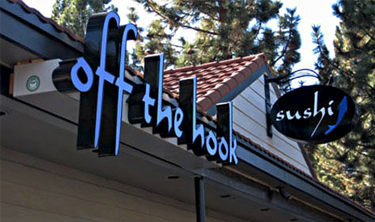 We install backlit signs for other sign companies or for customers who have their own signs. 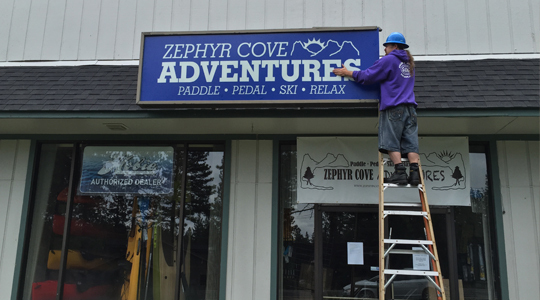 We produce our own signs as well but we're always happy to help install signs whether we created them or not. 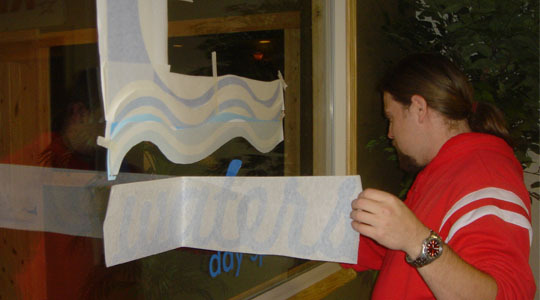 Professional installation is key for Channel Letters and we've installed hundreds. Please call us for a free quote at 530-544-7058. Big jobs are no problem! Here's a sample vinyl installation on a bus. Large printing companies love our attention to detail and speedy performance. 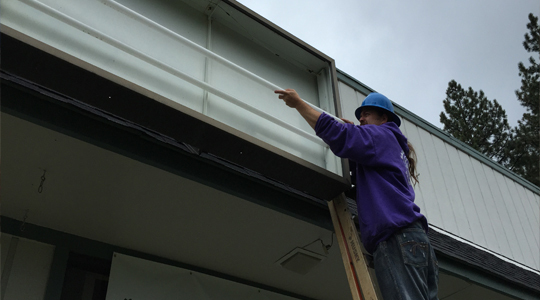 If you're looking for one single installation company in South Lake Tahoe for dozens of jobs within 200 miles, we can cover every window installation from Reno to Sacramento. We also install billboard graphics! Call us for a free quote 530-544-7058. Large banners, no problem! We'll handle it. 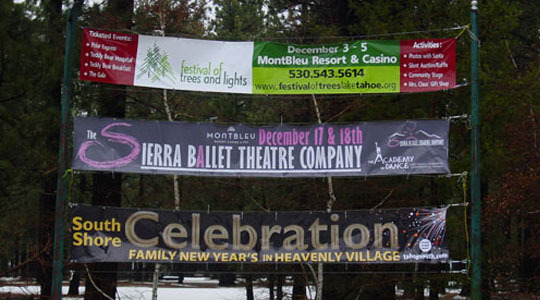 Call us to install your banners at 530-544-7058.